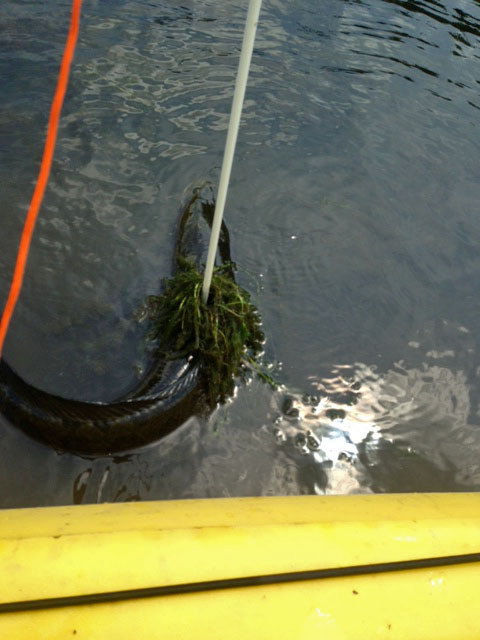 It’s been a tough year, thus far, for catching snakehead fish in the Potomac River. I’ve been doing some bowfishing, lately, but I’ll always bring a rod rigged up for some topwater action. 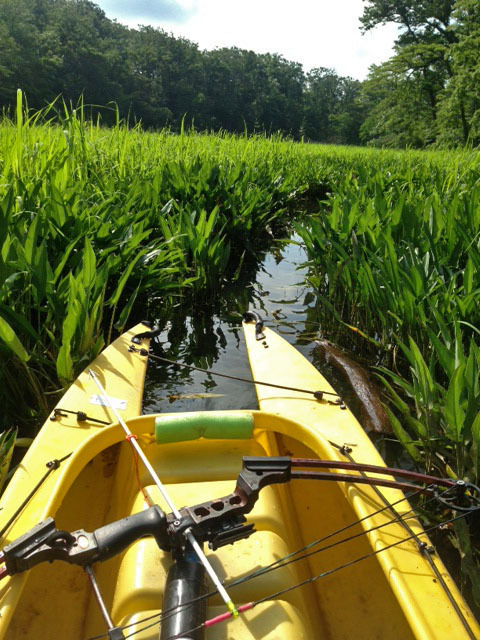 I can paddle into some skinny water on the hunt for snakeheads. 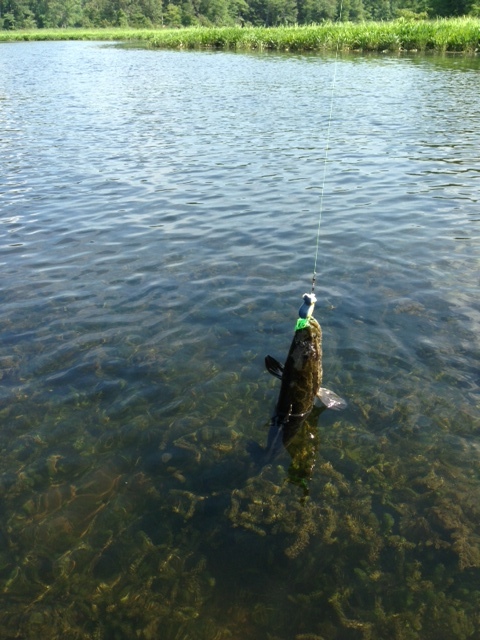 This snakehead torpedoed a topwater popper frog in the open water. Here’s a fattie I pierced with an arrow. 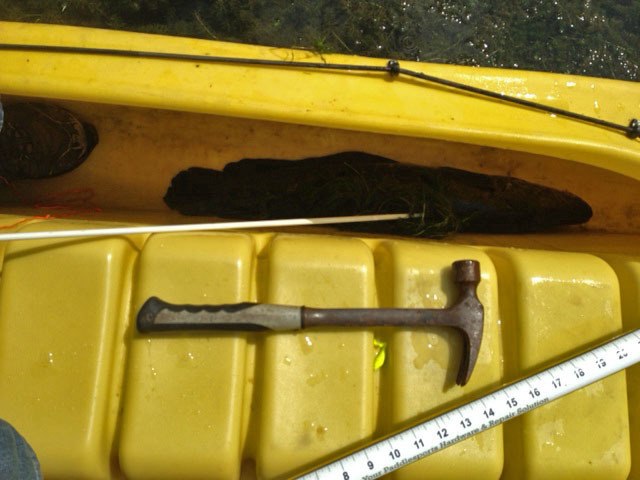 I knock out the fish with the hammer, then store it inside the W kayak. If it flops around it cannot get away. 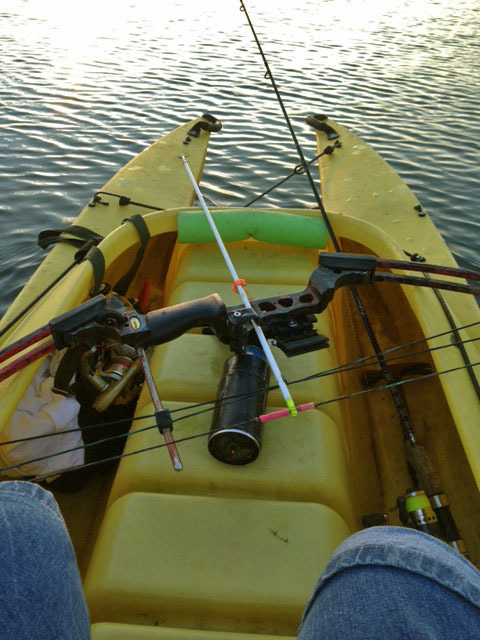 You cannot do this when using other sit-on-top fishing kayaks. This beast measured 31″ & 12lbs. I enjoy the surrounding beauty while fishing in my W! First shot of the day! Here you can see the white arrow stuck in the tail of the fish. The orange line keeps the arrow connected to the bow. The W500 is easy to stand up and use the bow&arrow bowfish technique. In fact, I can stand up and hold the bow with the arrow nocked with my left hand and still paddle and steer while drifting with the tide with my right hand. 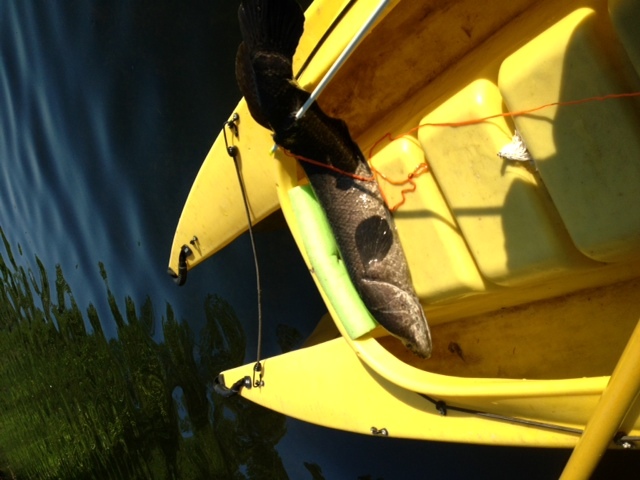 When I see a snakehead I can quietly lay my paddle across the W and then take a shot. Snakehead fish are ugly-looking, but they taste excellent! 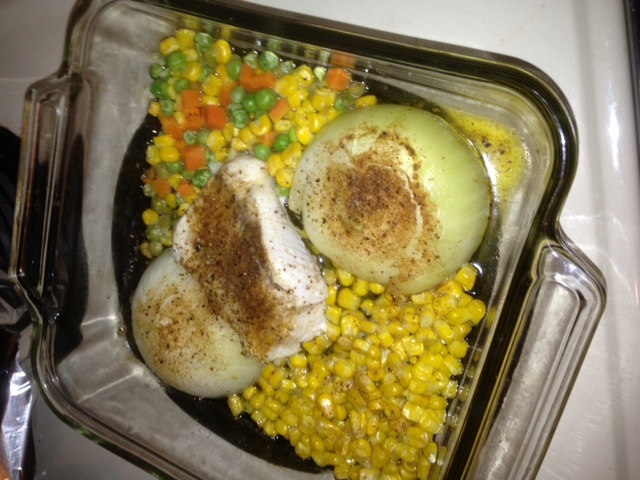 Here’s a thick piece of fillet baked in organic olive oil & topped with Old Bay seasoning. the end of August for those wishing to join me. Just email Yoav and he can forward your email to me. Launching will be out of Slavins Launch, in Indianhead, Maryland…just south of DC at the end of route 210 south. Yoav, keep on making your awesome kayaks!! 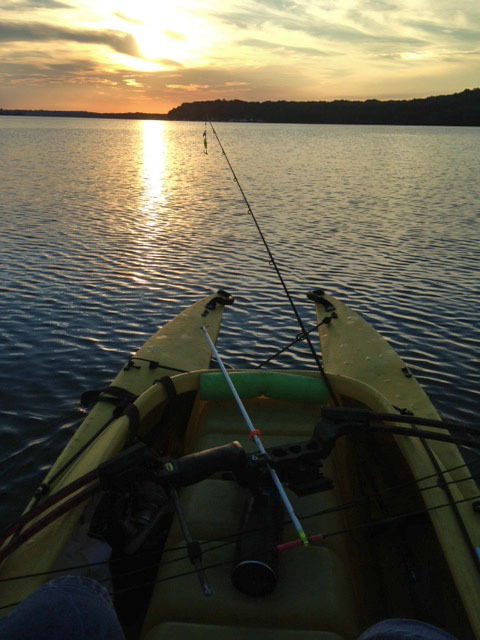 What a great fishing report! Nice shooting John! 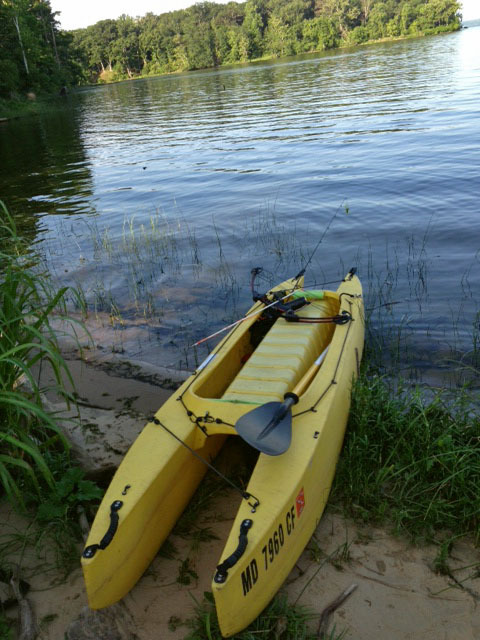 Wavewalk is the perfect kayak for bow fishing and bow hunting. This bowfishing thing looks like a lot of fun once you get the technique and precision, and that could take years in my case 🙂 Great post – thanks for sharing! Nicely done! 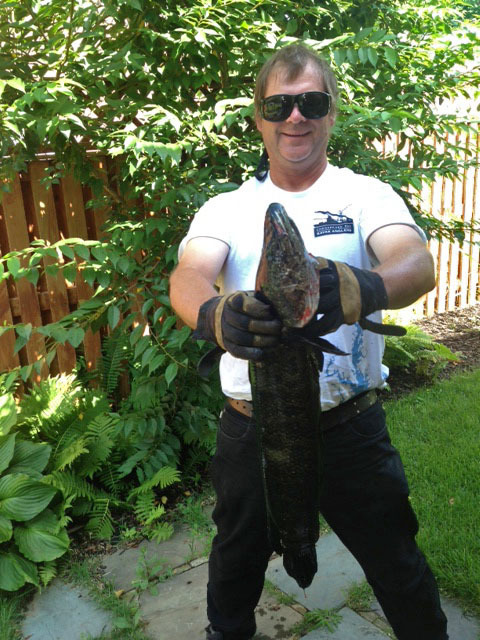 Snakeheads are an invasive species and for the sake of our other fish I am glad we do not have them. But, that said, this looks like great sport and great eating! First time I see a report on this subject…very interesting! Great shot(s)! I have yet to master the art of fishing (catching anything) with an artificial lure. 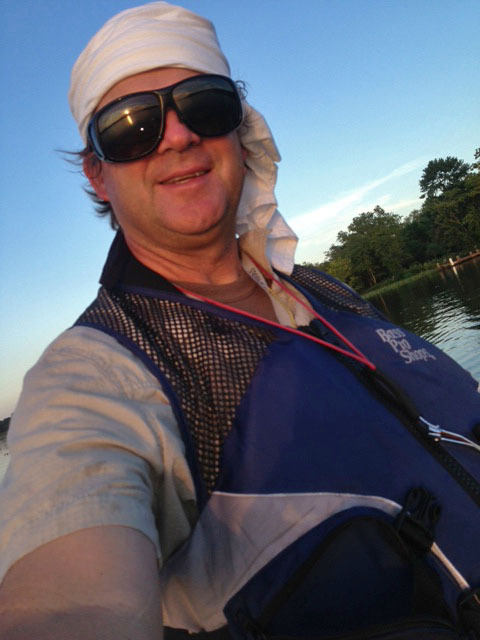 I’ve spent most of my time fishing at Patuxent Campsites in Broome’s Island this year. I can’t wait to get back to the Mattawoman Creek area again. I will also be looking forward to going on the trip you offered in August. Stay safe!